Enabling Our Partners to Innovate 21st Century Solutions, Now! Therapeutic compounds exert their beneficial effects through their action on specific molecular targets. Theoretically, a combination of compounds may exhibit more potent effects than each of the compounds in isolation. This could be due to their synergistic effect on a single molecular target, or due to their actions on multiple targets, leading to beneficial effects. Integrative computational modeling assisted by the CytoSolve approach helps observe the effects of various combinations of two or more compounds on one or more biological cascades implicated in diseased states, through different targets. An added advantage is the reduction in the number of laboratory experiments required to be carried out for identification of combinatorial effects. Pancreatic adenocarcinoma is an aggressive cancer, which develops without prominent symptoms. The intense knowledge on cellular and molecular mechanisms of pancreatic adenocarcinoma is required for early detection strategies, preventive measures, and effective interventions. Single therapeutic drug like gemcitabine, approved by FDA against pancreatic cancer is required at higher dose to show minimal effect with higher toxicity. Hence, recent research have focussed on identifying the combination of drugs with maximum effect on minimal dose against cancer. Minimum of 10 to 15 years of research is required, to identify a combination of two effective drugs against cancer. Thus, in order to gain mechanistic insights of drug combinations, mathematical models of EGFR (growth factor) induced cell cycle and apoptosis were constructed to represent the overall framework of pancreatic cancer. CytoSolve created Cyto-001, an in silico combination of two FDA-approved chemotherapeutic agents to measure the number of apoptotic cells minimizing cancer cell proliferation. 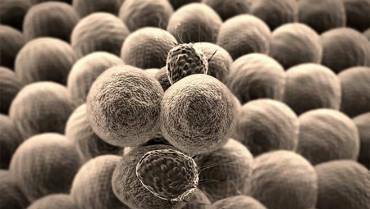 Novel combination of two drugs – Cyto-001 for pancreatic cancer are approved by FDA for further clinical trials. 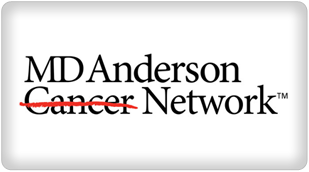 This resulted in the development of a new joint venture with MD Anderson Cancer Center. 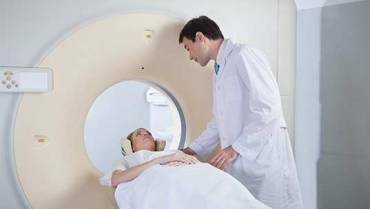 Combination of two drugs are planned to be tested as second line treatment for patients with metastatic, gemcitabine-refractory pancreatic cancer, or as an alternative to gemcitabine as a first-line treatment for patients with unresectable, advanced and metastatic pancreatic cancer. In addition, CytoSolve employed the individual and combination effect of active ingredients from different nutraceuticals. 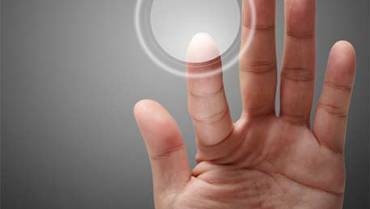 Target identification is a key step in drug development. Based on systematic literature review in disease, targets are identified from a cell or microenvironment. Differential sensitivity of individual drugs and molecular targets in computational models are validated with in vivo and in vitro experimental data from the literature repository. Finally, validated computational models could be set as an initiative to eradicate repetitive wet lab experiments. Target identification and validation would be concurrently used to test the combination of different drugs. 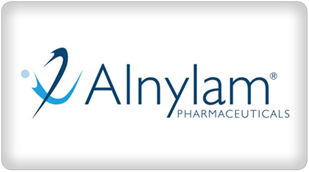 Alnylam is a leading pharmaceutical company, focusing their research on RNAi therapeutics for HAE (Hereditary angioedema). Angioedema is a non-itchy, pale swelling of subcutaneous or submucosal tissue that tends to recur chronically. HAE is characterized by the functional defect of factor XII or C1INH, which increases bradykinin production leading to vascular permeability. The siRNA therapeutics for serious, life-threatening HAE are restricted to limited patients and their caregivers. Efficient siRNA therapy for targeting genes related to HAE are limited due to the lack in correlation of different biomolecules in contact activation pathway. Alnylam collaborates with CytoSolve to explore the relationship between target knockdown and response for relevant genes. CytoSolve transformed the molecular pathways of contact activation and bradykinin production into in silico models. Differential sensitivity of bradykinin production and other simulation results are validated with in vivo and in vitro experimental data from the literature. The mechanistic in silico model then was able to predict the results from Alnylam’s in vivo studies. This validated computational models could be set as an initiative to further examine the combination of different siRNA. From the systems biology perspective, living organisms can be viewed as being comprised of dynamic networks of biochemical reactions. The origin of disease is characterized by the disruption of one or more signaling cascades, which may arise due to defects at the molecular level. These events ultimately result in the symptomatic manifestation of disease, due to disturbances in usual functions of the cascades involved. Computational modeling of molecular pathways acts as a backbone for the development of disease models. To functionalize computational models as a disease model, one or more signaling molecules function are altered. In complex diseases, there are numerous cells involving different cascades. In such case, an integrative modeling approach assisted by the CytoSolve platform, sheds more light on the effects of the dysfunction mediated by molecular pathways. This could potentially lead to the identification of new biomarkers, targets, and ultimately, therapeutics with beneficial effects in an overall sense rather than those arising from targeting a single molecule. Pancreatic adenocarcinoma is an aggressive cancer, which develops without prominent symptoms. The intense knowledge on cellular and molecular mechanisms of pancreatic adenocarcinoma is required for early detection strategies, preventive measures, and effective interventions. Single therapeutic drug like gemcitabine, approved by FDA against pancreatic cancer is required at higher dose to show minimal effect with higher toxicity. Hence, recent research have focussed on identifying the combination of drugs with maximum effect on minimal dose against cancer. Minimum of 10 to 15 years of research is required, to identify a combination of two effective drugs against cancer. Thus, in order to gain mechanistic insights of drug combinations, mathematical models of EGFR (growth factor) induced cell cycle and apoptosis were constructed to represent the overall framework of pancreatic cancer. CytoSolve created Cyto-001, an in silico combination of two FDA-approved chemotherapeutic agents to measure the number of apoptotic cells minimizing cancer cell proliferation. 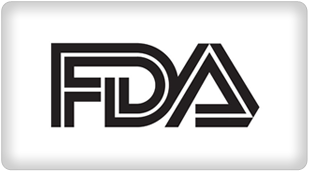 Novel combination of two drugs – Cyto-001 for pancreatic cancer are approved by FDA for further clinical trials. 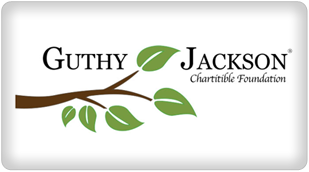 Guthy-Jackson Charitable Foundation (GJCF), focuses basic research in understanding the pathogenesis of NMO for effective prevention and therapy. NMO, a rare auto-immune disorder targets the spinal cord and optic nerves. It is characterized by the antibody IgG targeting against aquaporin 4, the major water channel in the central nervous system (CNS). The prevalence of NMO in U.S population is estimated to be 1 to 2%. 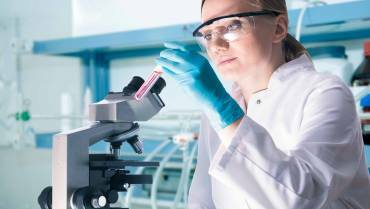 The main obstacles in developing new therapeutics are complexity of human immune system and the different scenario of immune system signaling in other mammals like rats to carry out fundamental research on auto-immune disorders. GJCF proposed a blueprint – the framework of signaling pathways involved in the pathogenesis of NMO to overcome the challenges in therapeutic development. CytoSolve transformed the framework of molecular pathways into in silico models to facilitate the integrative continuum model. CytoSolve employed computational biology approach to model signal transduction pathways between astrocytes, dendritic cells, T-cells, and B-cells. Integration of multi-signaling pathways correlated the role of aquaporin antibodies IgG in inducing the activation of different cytokines like interleukins 2, 4, 8, 10, 13. Biomarker is a measurable marker in biological state or disease condition, involving multiple signaling and genetic pathways activated by diverse humoral and biomechanical stimuli. Systematic literature review on ensemble of signaling pathways are required to acquire thorough understanding on diverse responses of biomarkers. Different signaling pathways are transformed into individual computational models. Using CytoSolve scalability, the computational models are integrated to predict cellular responses in physiological or pathophysiological condition. Sensitivity on biomarkers on different time scales are validated with in vitro or in vivo literature from repository. Biomarker discovery and validation enable simulation of complex problems involving many parallel pathways that cannot be readily isolated experimentally. Humans were initially considered to possess a different number of genes when compared to a worm. However, during the human genome project, it was realized that humans have the same number of genes as a worm. Biology now recognizes that we cannot consider the human being to be made of just genes, but factors other than genes decides human physiology and disease conditions. These factors could range anything from thoughts, food or lifestyle, giving rise to a thinking based on systems biology. This sheds light on the concept of ‘wholism’, the basis for traditional Indian systems of medicine such as Siddha and Ayurveda. Creating mathematical model of the cell is an effective way of bringing wholism to Western medicine. This involves performing complex integrations of molecular pathway models, generally considered tedious and time-consuming. Various software systems exist for this purpose, however, the approaches used so far do not provide a scalable method to integrate multiple biological pathways to model the whole cell. 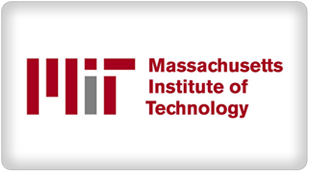 Dr. VA Shiva Ayyadurai, during his research time at MIT, developed CytoSolve, a scalable architecture for integrating biological pathways. Its key features include an infrastructure that provides simple communications interface to each model, is distributed, Web-enabled, and automatically aggregates the models to build the integrated model. 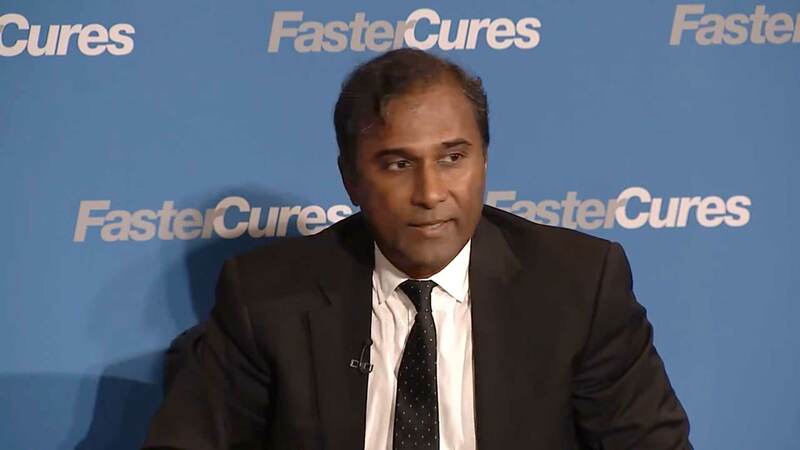 Dr. Shiva Ayyadurai validated CytoSolve by comparing the integrated results of the EGFR pathway with the monolithic model of EGFR generated by CellDesigner, a popular tool for building computational molecular pathway models. 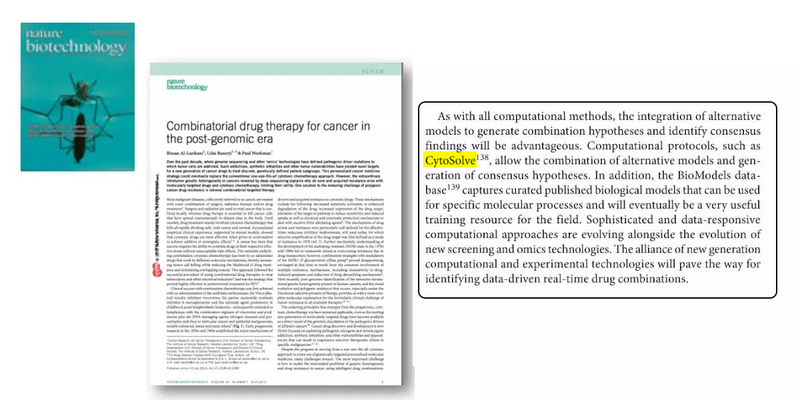 The results demonstrated the viability of the CytoSolve approach, which can now provide a basis for using computational methods to solve challenges in medical research. Diverse responses of target or biomarker induced toxicity through different signaling pathways are identified through systematic literature review. Computational models are constructed to identify the impact of each drug or ingredients on susceptible target or biomarker. 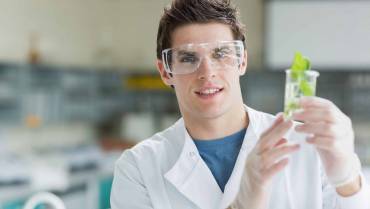 CytoSolve platform evaluate the paradox effect of drugs or ingredients in combination. 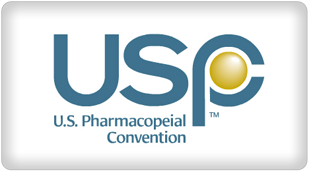 Dose of either drug and/or ingredients in combinations are tested to identify the threshold dose. Use of dietary supplements by military personnel is well acknowledged and documented in a review conducted by the Institute of Medicine. About half of the US population uses dietary supplements. Concerns regarding the benefits and safety of dietary supplement use by military arise because (a) military personnel may have a different intent than the general population and (b) military personnel have unique challenges and needs. CytoSolve® computational systems biology platform provides for the dynamic integration of molecular pathway models, in silico, to understand synergistic effects of multi-ingredient dietary supplements on molecular pathways of biological processes. CytoSolve platform was used to evaluate the effect of combinations of arginine and caffeine, found in dietary supplements taken by military personnel, on nitric oxide production, which is directly related to cardiovascular health. The CytoSolve analysis revealed that arginine alone increased the nitric oxide concentration whereas caffeine alone reduced the nitric oxide concentration in healthy individuals. In combination, the results indicated that production rate in healthy individuals did not increase significantly by arginine supplementation. On the other hand, arginine supplementation attenuated NO production rate to nearly normal levels in hyperglycemic/hypertensive individuals.